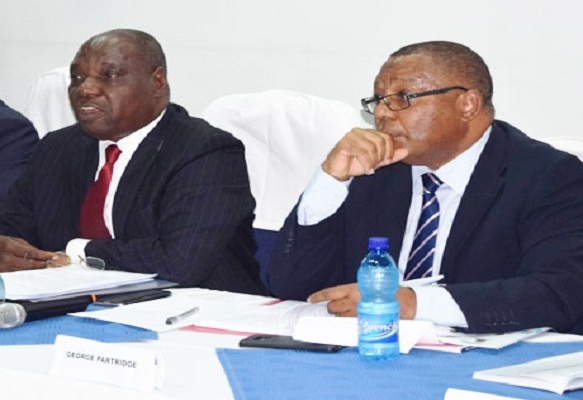 Malawi Stock Exchange (MSE)-listed conglomerate Press Corporation Limited (PCL) Board of Directors on Friday assured shareholders that the group remains the giant it was a couple of decades ago. PCL Board Chairman, Patrick Khembo, was speaking during the firm’s annual general meeting (AGM) held in Blantyre. Khembo said, though the number of subsidiaries under PCL has shrunk over the years, as the conglomerate restructured its portfolio, PCL remains Malawi’s biggest holding company, contributing about 28 percent to the Gross Domestic Product. “Shareholders should not just look at the number of firms under PCL. They need to look at the strength of the firms as well. Although we have fewer companies now, we have a strong business,” Khembo said. During 2017, PCL posted an after tax profit of MK39.67 billion, up from MK15.31 billion in 2016. This performance was after taking into account a profit of MK14 billion on a part disposal of shares in Castel Malawi Limited. In 2017, PCL diluted its shareholding in Castel to 20 percent from 39.65 percent. PCL said the sale was part of the deal in which Castel Internationalle’ bought out Carlsberg Breweries AS and was done to allow for further strategic investments for the Group. He said excluding the money from Castel, the PCL group delivered a strong after tax profit growth of 68 percent, despite the prevailing sub-optimal operating environment, mainly as a result of reduced demand for goods and services on account of low disposable incomes following poor prices fetched by farm produce during the year and acute power shortages. Among other factors, Khembo said the performance was driven by cost reduction and improved operating efficiencies. PCL Group Chief Executive Officer, George Partridge, told the company’s owners that the group has diversified its portifolio by venturing into tourism through a purchase of a 15 percent stake in Sunbird. Partridge added that PCL has set up a subsidiary, PCL Powertech, to operate in power generation, to take advantage of the power situation in the country.